Your industrial plants and facilities produce a lot of data that you could use for improving processes, reducing maintenance costs, and making better business decisions. But securely getting that data from the sensors, transmitters, and analyzers that produce it to the people who need it can be difficult. 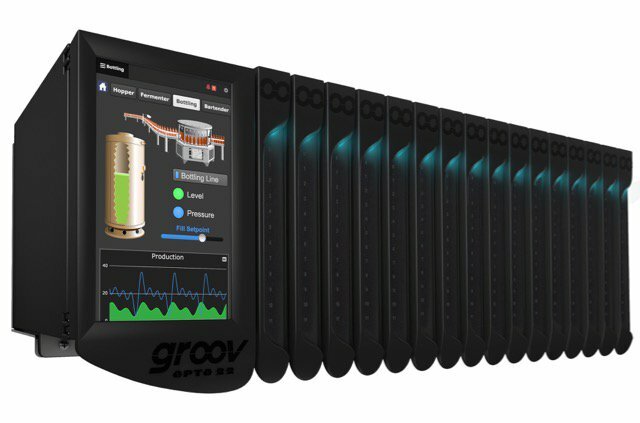 The field devices that produce data usually connect to industrial controllers—programmable logic controllers (PLCs), programmable automation controllers (PACs), and edge programmable industrial controllers (EPICs) like groov EPIC. These controllers process data to filter out anomalies and analyze it to gain more useful information. Most industrial controllers have some data storage capacity built in, but they’re usually connected—either directly or through human machine interface (HMI) software—to PC-based software platforms to further refine and use the data. In an in-house system for moving data, a plant-wide intranet connects users’ PCs, and a plant-wide Wi-Fi network may also connect laptops, smartphones and tablets. The plant’s information technology (IT) personnel usually provide the required infrastructure: PCs, networking hardware, software platforms, and so on. IT’s involvement is necessary, but it can be problematic because their knowledge and priorities are different from automation engineers (operations technology, or OT). In-house systems are often the best approach for companies with just one plant or facility. Although this option appears simple, it requires IT staff for installation and support, and it requires close cooperation between IT and OT personnel. In addition, it doesn’t provide data access for personnel outside the plant. VPNs are a secure technology that IT departments frequently use for remote locations or personnel outside the plant. A VPN extends the plant’s in-house network, providing access to data over public networks, such as the internet. This method works well for big data storage and access applications, particularly for very large files like videos. However, VPNs also require close IT/OT cooperation, and configuring and maintaining a VPN can be quite complex. Another option is transmitting data through the cloud. If OT systems use open protocols that are optimized for data transfer, IT tasks are minimized and plant OT personnel can focus on improving operations. Although most PLCs and PACs don’t offer these kinds of open protocols, groov EPIC edge programmable industrial controllers do. EPICs can use standard internet protocols and technologies to send data from automation systems and equipment to laptops, PCs, smartphones and tablets via cellular, Ethernet, or Wi-Fi networks. For instance, message queuing telemetry transport (MQTT) is an ISO standard (ISO/IEC PRF 20922) publish-subscribe messaging protocol. MQTT is ideal for industrial data gathering because it is lightweight and efficient, and because it securely transfers data, even with slow or unreliable networks. With MQTT/Sparkplug architectures, all communications are device-originating, bi-directional, and secure. Because all data communications begin from the controller and are outbound, no ports need to be opened on a firewall or on the controller. This method dramatically reduces reliance on IT departments and eliminates a primary cyber-attack vector. In addition to data transmission, the cloud can host data access applications. Instead of configuring and maintaining on-premises systems, you can let the cloud provider handle these chores. Popular cloud computing platforms such as Amazon Web Services, Microsoft Azure, and IBM Watson all offer robust and scalable architectures where you can develop and deploy your own cloud-based applications. This method can be expensive, and you will need IT expertise, but the results can be just what you need. Some vendors provide complete cloud-hosted data access solutions, a turnkey service that is more expensive but requires little IT expertise. However, you may be concerned that the vendor controls all data flows into and out of the cloud, and vendors may be smaller, inexperienced companies. Is your industrial site already awash in big data? Does every new equipment installation increase the number of data sources? You want to capture and access this data to gain value and visibility, but maybe you must rely on internal personnel and can’t afford extensive IT custom development. Fortunately, there’s a solution at hand. 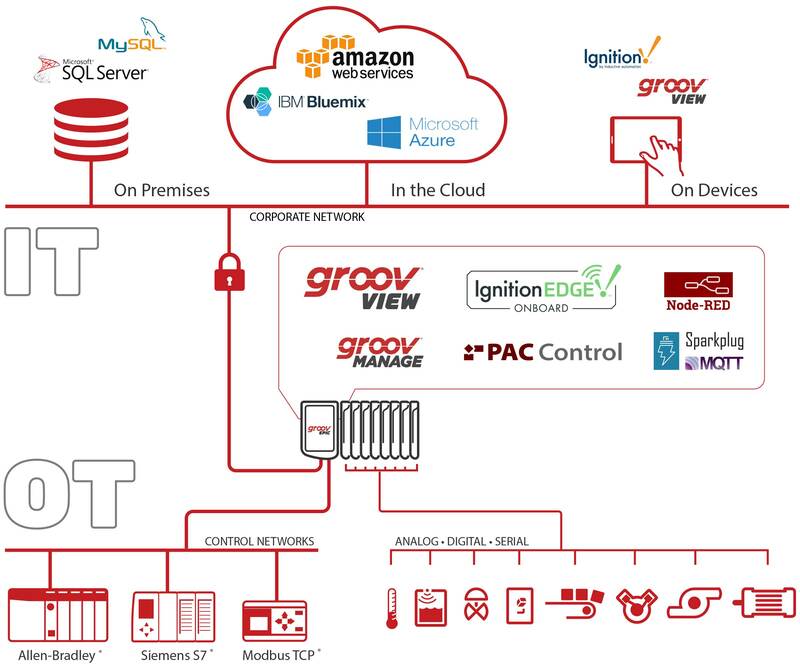 A groov EPIC edge programmable industrial controller collects, processes, stores, and shares big data locally and via the cloud. With its ability to work with data right at the source—at the edge of your network—and its programming and software options, plus support for open-source internet protocols, EPIC gives you a powerful way to easily and securely access remote data. Read the full-length article on this topic featured in Plant Services magazine.